X-RAYS One of the best ways to prevent disease is too catch symptoms and warning signs before they turn into full-blown illnesses. The same philosophy works for dental health. By utilizing X-rays to examine the teeth’s roots, the health of the bone around it and the surrounding teeth, a dentist is better able to address your case. William C. Gardner DDS uses every dental tool available to ensure you get the best possible care, including X-rays. 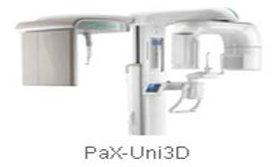 We do us e 3-D technology via our VaTech 3-D imaging device and software to better serve you. Types of X-rays and uses. 3-D VATECH Technology Anyone who’s had X-Rays taken at a dentist office knows that there are different types. You have the device put in your mouth, and then another thing is put up against your cheek. All of those have a purpose, providing the dentist with different information. A periapical X-Ray gives a view of the entire tooth, from crown to bone. The bite-wing X-Ray lets the dentist see how your upper and lower posterior teeth touch each other; it also allows the dentist to see if there is any decay happening between the teeth. 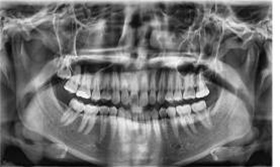 The panoramic X-Ray is usually to check for necessary orthodontic treatment; it also shows the teeth, jaws, nasal area, sinuses and the points of your jaw. An occlusal X-Ray is used to examine the development of a child’s teeth and their placement. X-Rays are safe, and with the appropriate precautions taken, there is a minimal exposure to radiation. The information they provide your dentist is invaluable, and can ensure that your treatment addresses every aspect of you teeth. Starting with X-Rays, finishing with healthy teeth After an examination and X-Rays are taken, our specialists will be able to know what you and your teeth need, so that you can receive the best dental care available. Not only can you receive complete general care, but also cosmetic an emergency attention at your disposal. We strive to cover every aspect of oral health and dentistry to provide you with consistent, professional and compassionate care, regardless of the situation. Start giving your teeth the care they deserve and contact us to for you next appointment. A dental implant is more than just a crown. It provides a permanent root for the replacement tooth that fills the gap. A titanium post is inserted into the area of the socket of the missing tooth. It is allowed to heal, during which osseo-integration take place; this is where bone cells attach directly to the surface and merges with the implant. Once the implant has fully integrated into the jawbone, an abutment is attached to the post. This will hold your new tooth in place. Models are created of your bite and the replacement tooth created to fit the gap. The resulting crown is cemented to the abutment. Because of how dental implant work, they look and feel as your natural teeth. Some patients can even have attachments put on implanted posts that support removable dentures. With the advances in medical technology, dental implant has become a highly successful option of people who have lost one or more teeth. Getting your dental implants Rather than search for a general dentist who can also handle a cosmetic procedure, let William C. Gardner DDS PA provide you with complete dental care. Cosmetic, general , implants, and emergency dentistry are all available. We’ll help you create an oral health plan and provide you with the professional and compassionate care you deserve. 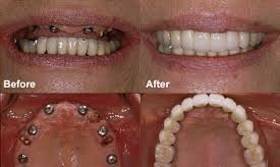 Partial and Dentures over implants A single missing tooth is often replaced with a bridge, but with the advent of implants, people have been able to replace single teeth without losing bite functionality or use of their mouth. What about multiple missing teeth? Instead of multiple implants, there are implants that are placed strategically around the mouth, and then a partial denture is placed to fill in the gaps. The advantage to this approach is that there would be no metal wires/clasps showing when smiling. The partial denture adheres to the implants and keeps it from moving. William C. Gardner DDS PA can provide the implant procedure for you. Schedule your appointment today!